People have been using local pawn shops for years to trade their items in for cash. You bring in your stuff and you could walk out with a pawn loan against the value of the items or quick cash if you sell your items outright. However, when making a transaction at a pawn shop, do they keep a record of your personal information; and if they do – for how long? Find out all of that and more in this article below, so you can stay in the loop about what goes on behind the scenes when it comes to your personal information at pawn shops. Pawnbrokers take in a wide range of items from their customers everyday including gold and diamond jewelry, musical instruments, televisions, electronics, tools, household items, firearms, power tools, and more. These items can be used as collateral to secure a pawn loan against the value of the items or the shop may buy it outright to resell. Since over the years, pawn shops have developed a working relationship with local law enforcement agencies and are regulated by state and/or federal laws, pawn shops keep their records and now ask for identification during every transaction whether you’re buying, pawning, or selling an item. What records do they keep? If you’re afraid that you might be buying a stolen item at a pawn shop or even taking a stolen item to a pawn shop unknowingly, you may be wondering if pawn shops keep a record of your personal information, and if they do for how long. Pawn shops gather personal information in order to comply with state and federal laws and regulations that govern people pawning or selling merchandise to the pawn shop. During every transaction, pawn shops will ask for a government-issued photo ID for record keeping. The shop will also keep a log of every new item that comes into their inventory and submits it to a nationwide database that police departments monitor on a daily basis in the event that an item on a police report matches the description of an item found at a pawn shop. Law enforcement authorities have the ability to download information about the items pawned or sold to the pawn shop as well as the description and identification of the person that sold or pawned items to the pawn shop. How long are records on file? How long a pawn shop keeps records is limited to the software (or lack thereof) used in that pawn shop as well as state laws that may apply. The law varies by state regarding how long records should be kept and what information is required when pawning or selling merchandise to a pawn shop. On average, records are kept between 3 to 5 years. After a certain period of time, pawn shops discard personal information by shredding paper records or deleting electronic records from their computer systems in order to protect your personal information from being stolen or otherwise compromised. Have more questions about pawn loans? We’ve got answers. Quik Pawn Shop in Alabama is a family owned business with a customer first mentality. They do their best to cater to the needs of their customers and help them find what they are looking for at the best price possible. Customers have trusted them for nearly 40 years, and so can you! Speak to our friendly team at 855-402-PAWN (7296) to get started or click here to find a Quik Pawn Shop near you. Thinking about getting a pawn loan? Related articles: Is it safe to buy at a pawn shop? 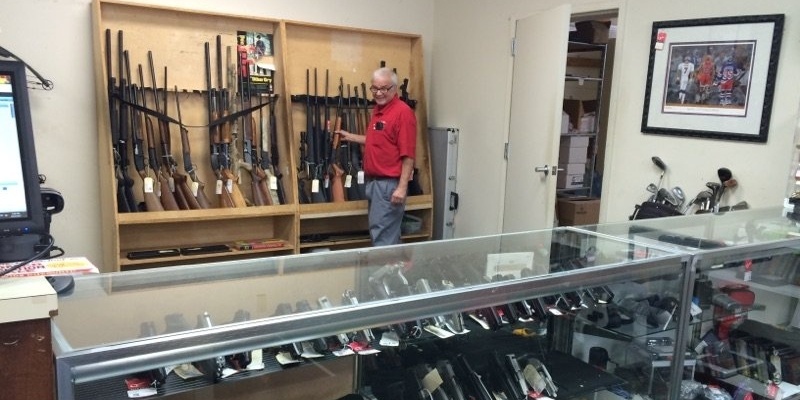 | Is it legal to sell a firearm to an individual?